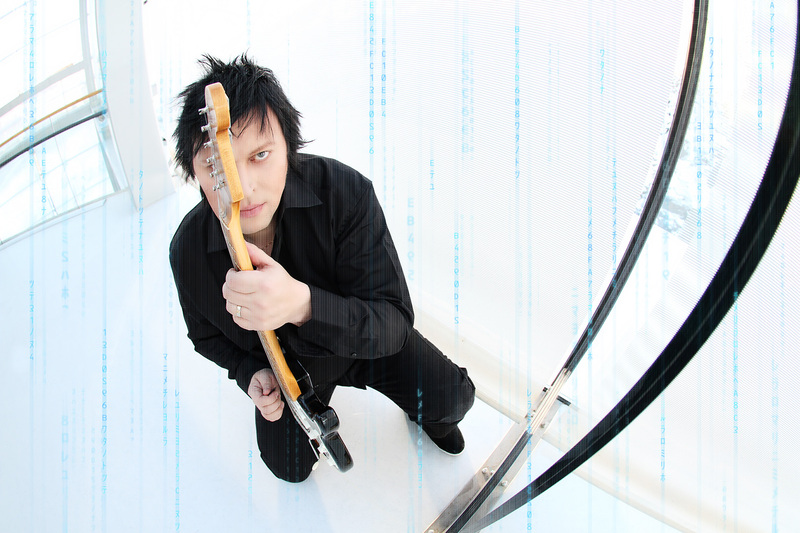 Timo Tolkki was born 3. 3. 66 in Helsinki Finland. He was 5 years old when he first touched a guitar and started playing when he was 7 years old. Tolkki took guitar lessons up until he was 14 and got his first electric guitar when he was 12 years old. His first musical influences were The Beatles, ABBA and The Shadows. When he heard “Smoke on the Water” playing on the radio, it changed the course of his playing and he started buying copies of Rainbow and Deep Purple’s albums. His ever first album bought was “Rainbow: On Stage”. Tolkki also found the myriad of guitar heroes existing in the beginning of the early 80’s including Randy Rhoads, Gary Moore and Yngwie Malmsteen. They all had a profound impact in Tolkki’s own playing style combined with his love for the classical music. After series of local bands he got a phonecall from Tuomo Lassila if he would like to join a band called Stratovarius. To correct a common false information, Stratovarius was actually formed during winter of 1984 and Tolkki joined the band just 2 months after it was formed. A series of shows and demos were made and Tolkki took relatively quickly a complete control of the band’s artistic direction and also the management duties. This lasted up until 1995 and resulted in 4 albums: “Fright Night”, “Twilight Time”, “Dreamspace” and “4th Dimension”. During this time, the band achieved a considerable success in Japan and 4th Dimension is still the most successful Stratovarius album in Japan with the sales figure of 75 000 copies. While the band was already in studio recording the 4th Dimension album, Tolkki decided to quit singing and an unknown singer called Timo Kotipelto was chosen as the new vocalist. In a dramatic move after the tour of 4th Dimension, Tolkki fired Tuomo Lassila and Antti Ikonen citing “lack of interest towards the music and the band” as the main reason and recruited Jens Johansson and Joerg Michael as their replacement. What was to follow was the history in Melodic Power Metal. The band recorded 4 albums between 1996-2000: “Episode”, ”Visions”, “Destiny and “Infinite” and made 4 world tours. Earned 3 consequetive gold discs from the sales of Finland and won a Finnish Grammy. The influence of Stratovarius as the leading force of Melodic Power Metal was justified. During this time Tolkki was still in complete control of the band’s artistic and musical direction and was responsible in writing the biggest hits of Stratovarius ever such as “Black Diamond”, “Hunting High and Low”, “The Kiss of Judas” and “Forever”. He has written over 200 songs for the band and produced all the albums while he was in the band. Elements pt 1 & 2 were an effort to take the sound of the band even further using real Symphonic Orchestra. The band made its biggest world tour with these albums. The readers of the renowned American Guitar World Magazine chose Timo Tolkki to the cathegory of 50 fastest guitar players of all time and position 88 in the cathegory of most influential metal guitar player of all time. The years 2004-2007 were very difficult time for the band due to Tolkki’s illness, but they managed to record a self titled album in 2005 and made a world tour in 2006. After a series of personal, financial and politicial reasons, Tolkki left Stratovarius in October 2007 explaining his views to the band and the management clearly in an email asking for further discussion. His explanations were not understood and the both parties remain in disagreement about what happened until today. After his departure from Stratovarius, he has had 2 bands: Revolution Renaissance and Symfonia and he has made solo albums. Today he is taking things more lightly running a mixing studio called “Studiotolkki” and releasing music when he feels like. May 2013 will see a worldwide release from Frontiers Records of Tolkki’s new Metal Opera called: “The Land of New Hope” which includes musical talents of Michael Kiske, Sharon Den Adel, Elize Ryd, Rob Rock, Russell Allen, Tony Kakko, Jens Johansson, Derek Sherinian and Alex Holzwarth.